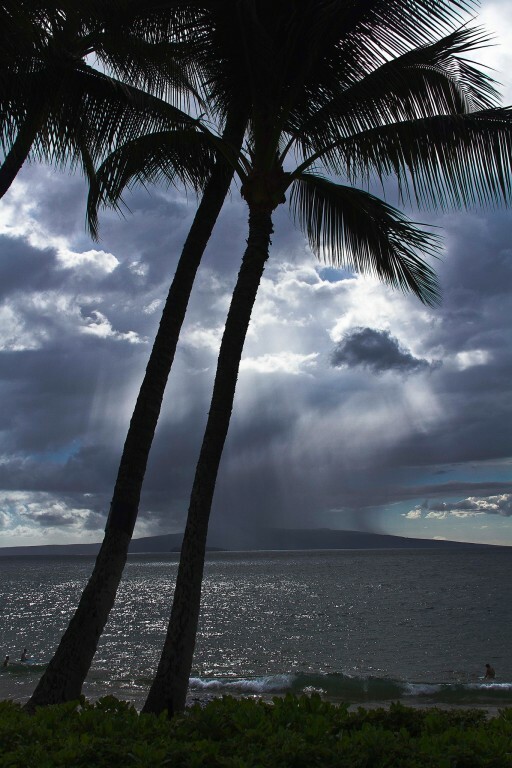 Rain comes down on the neighboring island of Kaho’olawe through breaks in the clouds as seen from Ulua Beach Park on the island of Maui. 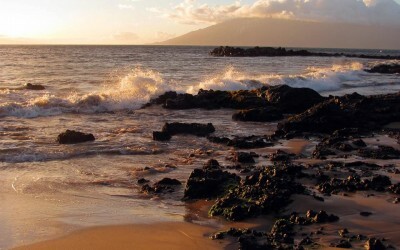 Ulua Beach is one of the closest public beach parks next to the Grand Wailea hotel in the South Kihei / Wailea area of Maui. 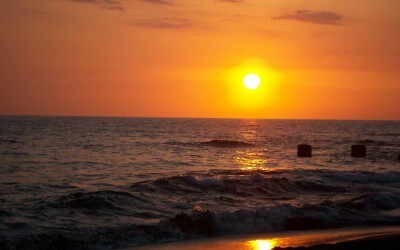 It is a great spot for snorkeling on calm ocean days, particularly in the morning before trade winds come up. This is also a great whale-watching spot in the winter months when humpback whales can be seen throughout the channel and surprisingly close to shore. 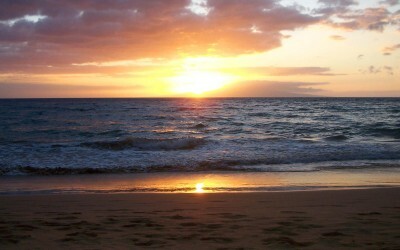 The beach has the fine sand that many expect on Maui and fewer rocks than other beaches. Partially hidden from site by the tall palm trees is the Hawaiian islet of Molokini.